I know it is the obvious, yes stories change but for me I have lived it. I got pregnant with Aiden the first month we tried and then 10 months later got pregnant with Ainsleigh the first month that we tried. I was oblivious, I thought this part of our story would be easy. Now 5 years later, 3 miscarriages and a lot of heartache and tears....I see just how much my story has changed. Never did I expect this to be my story. Even after our first loss I thought that my loss story was over, my redemption story complete. It was't though. So many times I felt a whisper of God saying " I remember". Knowing that gives me peace. October is infant and pregnancy loss awareness and I never can let it pass without taking the time to write out some thoughts and feelings. Feelings that honestly sometimes are tucked so down and far away, they usually only come out in a moment I am not expecting. A vulnerable moment where I let the pain show its face, where the heartache can make itself known for a moment. 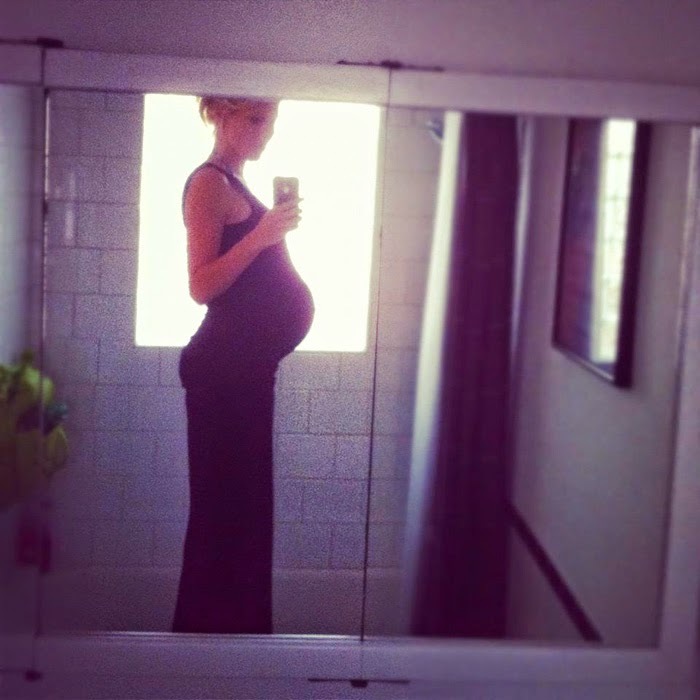 Being pregnant is such an intimate, beautiful personal experience. And the loss is extremely isolating. I read a blog post recently and she was sharing about how often we either feel the pressure from something inside ourselves or even an unspoken pressure from others that we need to be okay. And in that we often tuck away hurt, heartbreaking experiences, even sin and we mask it with "we are good." I read that and I could instantly relate- 3 beautiful earthly babies that are my world, three kiddos that are my heart, my soul- my gratitude for them "should" overpower the heartache of three losses. Focusing on them does. Focus on the good and move away from the hard. But the problem is often we bury feelings and experiences and tuck them so far away that they live in the deepest parts of us. We even trick ourselves. We aren't giving thought to how that hurt really made us feel, we need to process through that, we can't just tuck it away. That hurt away from our gifts is extremely painful, it's easier not to "go there". Visiting the loneliness and pain from those moments will change us. It's healthy to process through them. In October 1988, President Ronald Reagan declared October as National Pregnancy and Infant Loss Awareness Month saying, "When a child loses his parent, they are called an orphan. When a spouse loses her or his partner, they are called a widow or widower. When parents lose their child, there isn’t a word to describe them." I am the face of loss. you are too. We are one in four. But we are more than that, we get to be the picture of love. Love and peace and grace as eyes are upon us when we experience a hurt like no other. We can share the experience and not tuck it away. We can be real about how we felt in those dark moments. We can give a voice to those who don't know what to say. When you lose something that you love so fiercely and so dearly, it shatters all of you. And when you slowly glue the pieces back together one by one, piece by piece.... then, when you are finally put back together... you're different. The scars are a constant reminder of not only what was lost but also what all you have to lose. You can love differently. Better. Because you know it's fragile. A gift to be cherished, celebrated, adored. Two boys, one girl waiting for us in heaven- what a beautiful picture to know that they are there.